The book introduces an original perspective on understanding a theatricality of film. This includes adaptations and appropriations of dramatic texts for the screen, the interactions of Irish stage performers and internationally established directors, and the merging of performative styles through the two media. Categories: Literature and Criticism, Media. 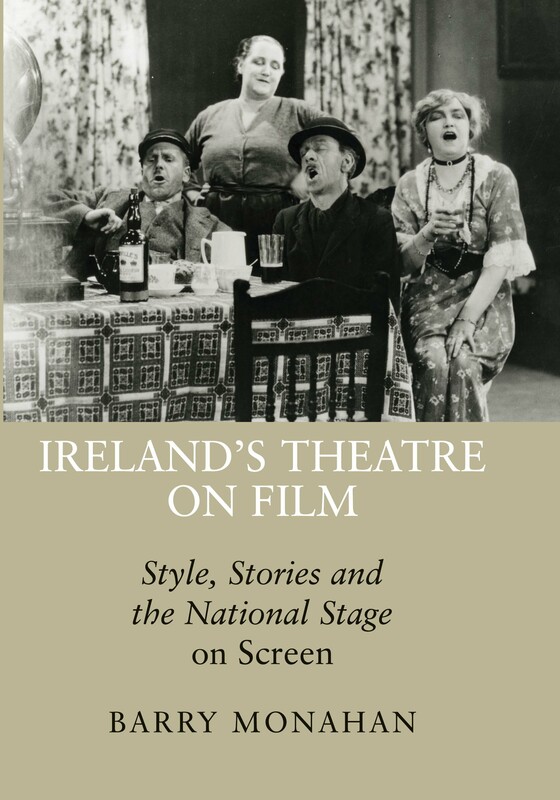 Provides an in-depth examination of the relationship between Irish theatre and film across a significant period of the 20th Century. Divided into three interwoven sections, the book considers the relationship historically (as functional, financial and political) between the Abbey Theatre and film practitioners from the beginning of the sound period. Secondly, it explores the adaptation for screen of a number of plays from the Abbey repertoire and considers how key directors such as John Ford, Alfred Hitchcock and Carol Reed used a theatricality of performance and narrative of ‘Irishness’ to cinematic effect. Thirdly, it looks at the implications for a cinematic style of performances by stage actors, both individually and in groups. 3. John Millington Synge and Ireland by Brian Desmond Hurst. SECTION THREE: The Ardmore Studios project. 9. Institutional interrogation of Irishness. 10. Community Films by the Abbey at Ardmore. Barry Monahan is currently lecturing in the fields of American Cinema, European and World Cinema, and Cinema and Ireland, but his research is predominantly based within the latter. His recent publications include articles on Irish film and theatre history as well as a number on contemporary Irish cinema.